The IOT Solutions World Congress, organized in partnership with the Industrial Internet Consortium (IIC), has quickly expanded to become the largest IoT industry event. With an intelligent selection of focus tracks ranging from connected transport to healthcare, with a chance to hear about the latest technology achievements out in the market, to see the newest solutions in action, to get to know the innovators and pioneers from all over the globe that are reshaping our world, and to interact with stimulating testbeds and collaborative demonstrations, the beauty of the IoT Solutions World Congress lies in its sheer diversity. 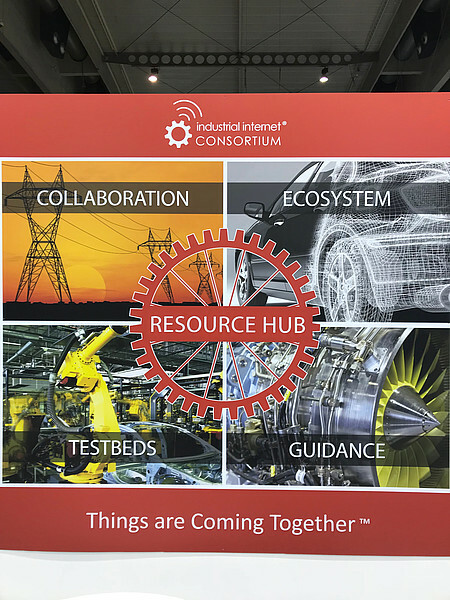 With its active role within the IIC and as a frontrunner in groundbreaking initiatives such as the IIRA (Industrial Internet Reference Architecture), the IISF (Industrial Internet Security Framework), and more recently the I2M2 (the Future of Industrial System Monetization), Wibu-Systems will present CodeMeter at the IIC member pavilion, booth D411, hall 2. 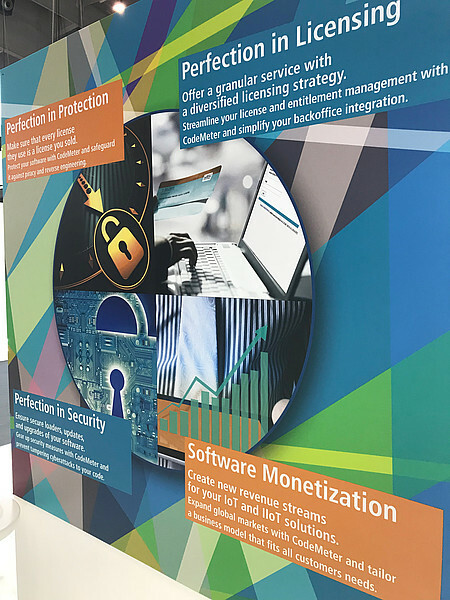 With this technology, we stress the importance of combining the technical and business perspectives in a single coordinated process that incorporates cyber security by design and revenue growth by default. With our demo Cloud-based and secure technology data marketplace, we will prove that the future of industry is connected, intelligent, responsive, and customized. 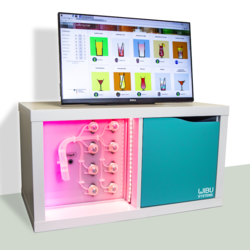 Developed in a multivendor project partnership, including the IUNO (German national reference project for IT security in Industrie 4.0) members Wibu-Systems and TRUMPF, a high-tech drinks mixer works by combining a technology data marketplace – a repository of drinks in the cloud that would-be vendors can add their favorite recipes to – with a secure data transmission concept and similarly protected front-end hardware. At no stage in the supply chain can the recipe be read out or tampered with, neither in the cloud marketplace nor in its transmission or in the mixer itself. On top of protecting the IP in the recipes, the CodeMeter technology is used to enforce the licensing for each recipe. Only the paid number of items (drinks in this case) can be produced. The encrypted recipe is worthless without the corresponding license which defines the amount of goods allowed for production. 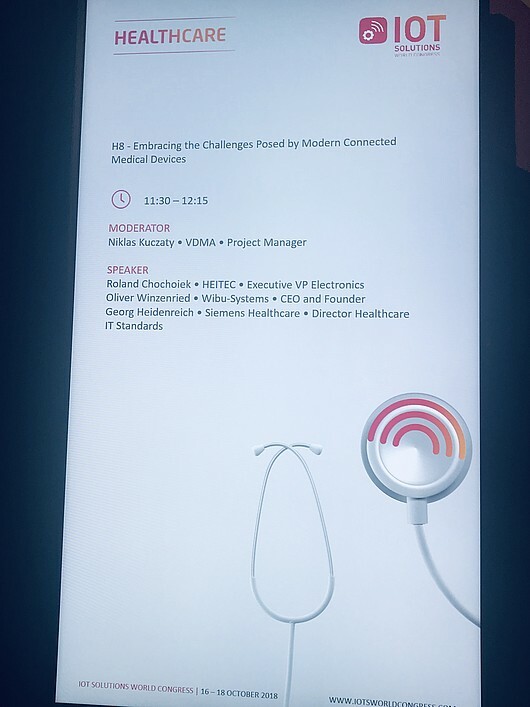 Embracing the Challenges Posed by Modern Connected Medical Devices on October 17th, 11.30 am to 12.15 pm, room 5. Moderated by Niklas Kuczaty, Project Manager at VDMA (German Engineering Federation) Working Group Medical Technology, the conversation with Roland Chochoiek, Executive VP at HEITEC, and Georg Heidenreich, Siemens Healthineers, will focus on non-negotiable security in instances when lives are at stake. Hospitals and medical device makers are not just exposed to material theft; the safety of patients and their confidential data, the software operating critical medical equipment, and the IP invested by medical technology specialists are now major targets. 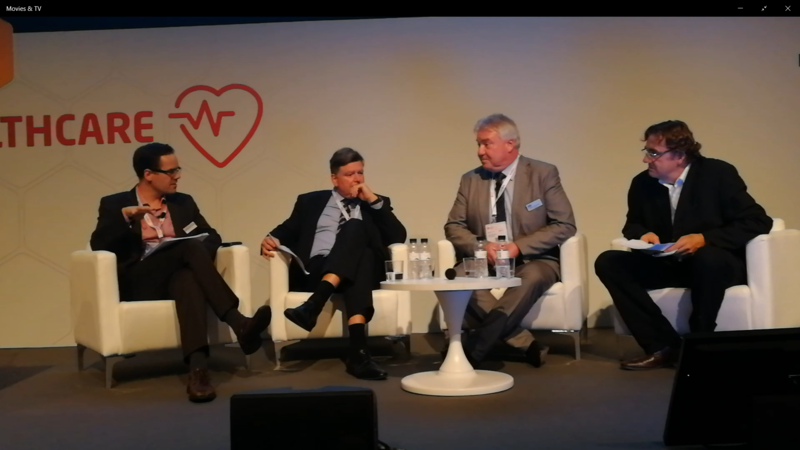 In a global marketplace, a new approach to designing medical units can also win the producers new market share and recurring revenues. 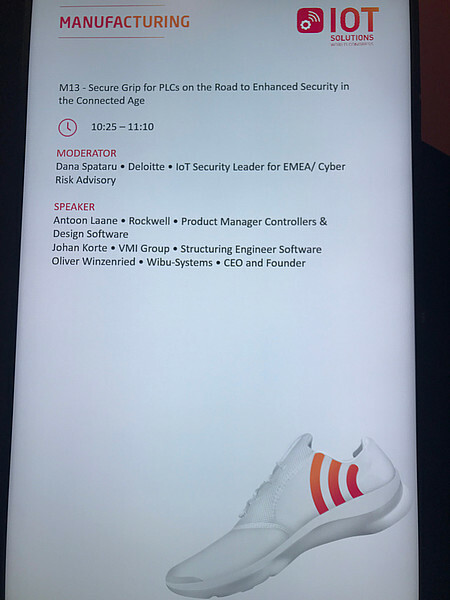 Secure Grip for PLCs on the Road to Enhanced Security in the Connected Age on October 18th, 10.25 to 11.10 am, room 1. 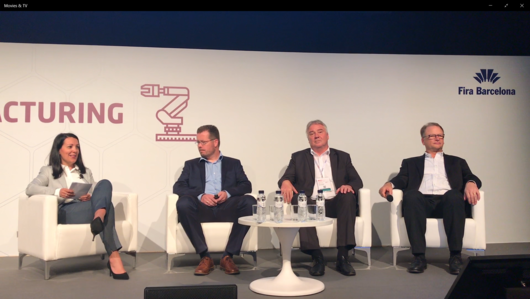 Together with Antoon Laane, European Product Business Manager, Controllers and Design Automation, at Rockwell Automation, and Johan Korte, Structuring Engineer Software, VMI Group, and led by Dana Spataru, IOT security leader, EMEA Region, Cyber Risk Services, Deloitte, we will cast a light on the need to protect IP, now that computers, embedded systems, PLCs, and microcontrollers are getting connected. The VMI Group, a market leader in the supply and servicing of machines for the tire and rubber industries, will show how they integrated Wibu-Systems’ source code protection technology into Rockwell Automation Studio 5000 Logix Designer to minimize the risk of fraud and bring engineers’ most sensitive assets under central control. 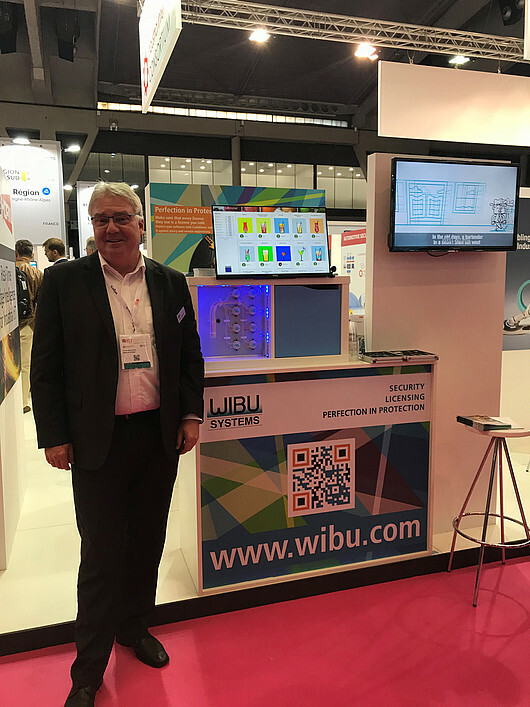 Wibu-Systems is also partnering with Trusted Computing Group; on October 16th, 10.00 am to 12.00 pm and on October 17th, 2.00 to 4.00 pm, the company will showcase IP Protection in the IoT Age with Trusted Computing at TCG exhibit, booth D485, hall 2, street A, level 0. The demonstration will show a two-step process: how to protect an application against reverse engineering and counterfeiting, and how to enable new business models with license and entitlement management. The process relies entirely on CodeMeter: the protected license associated with indivi­dual functions of the software is bound to an OPTIGATM TPM from Infineon Technologies. The software would then run only on the IoT device, computer, mobile device, embedded system, or PLC that has been enabled, and provide the functionalities associated with the license, safe from any sort of hacking. The software license lifecycle manage­ment can also be seamlessly integrated in back office processes, e.g. ERP, CRM, or e-commerce platforms, to further enhance the monetization process and significantly reduce the bottom-line costs related to logistic and service aspects. Want to join this 3-day experience? Contact us for your chance to receive a highly discounted or even free congress pass and meet up with the best IoT minds.